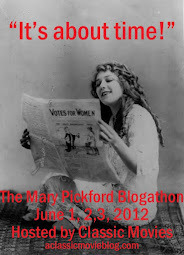 TCMFF Coverage and Viewing Lists Galore! 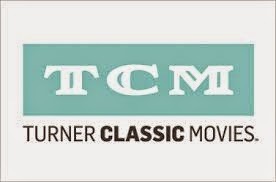 The big news for many classic film fans this week was the release of the full schedule for TCM Classic Film Festival 2015. There's been a lot of controversy over the films selected this year, with some fans questioning the inclusion of several films from the 80s and 90s, and others questioning how selections fit the theme. While I understand where these concerns are coming from, I've got to say I've found plenty of things I wanted to see. I'm also excited about the special guests this year. Any event where I can see Sophia Loren, Ann-Margret, Christopher Plummer, Shirley MacLaine and Norman Lloyd is fine by me! I've been enjoying taking a look at the TCMFF Tumblr account lately. It really gets you excited about the films it features, whether or not you're attending the festival. I really enjoyed this post at Black Maria which addresses the controversy over the programming choices at the festival this year. Very thoughtfully written, and with some great points. Having just enjoyed him in the new Blu-ray of Far From the Madding Crowd (1967), I was especially interested to read this new interview with Terence Stamp.